CPMCC nursing unit manager Adelia Fuschini with patient Vicki Dyer. 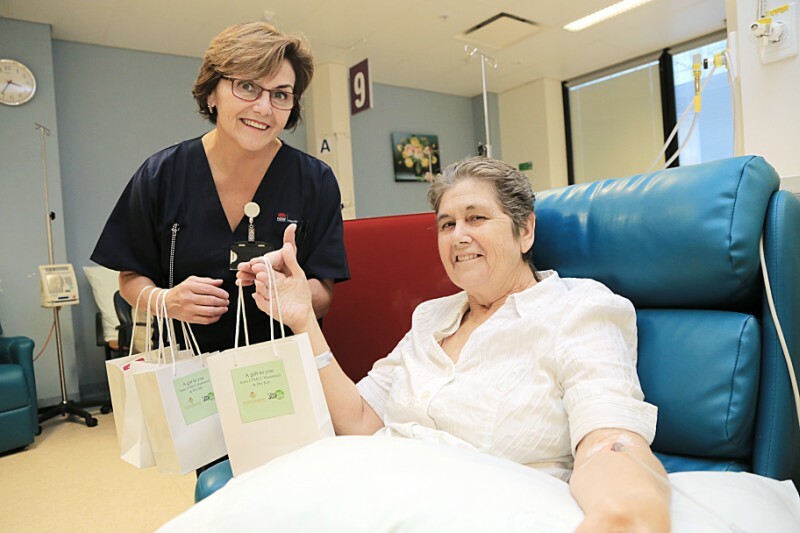 More than 1000 pamper packs, filled with male and female beauty products, are being gifted to Crown Princess Mary Cancer Centre Westmead (CPMCC) patients. On Friday, nursing unit manager Adelia Fuschini presented patient Vicki Dyer with a pack full of goodies. Vicki is one of the CPMCC’s much loved patients who has been receiving leukemia treatment for many years. The packs were purchased using Dry July funds from the centre’s 2016 campaign, which raised almost $110,000.